Bugibba & Qawra in particular offer many fun things to do for both kids & adults. 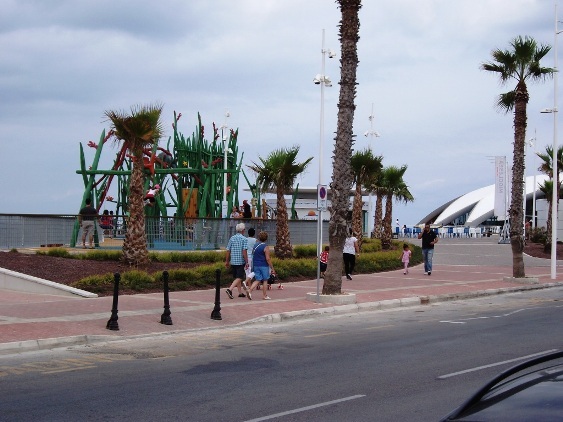 The area has a large open park and a new kids splash park along the Bugibba seafront. The main cinema multiplex has all the latest movies and the new Malta National Aquarium is a 'must-see' and also offers a child's play area next door. 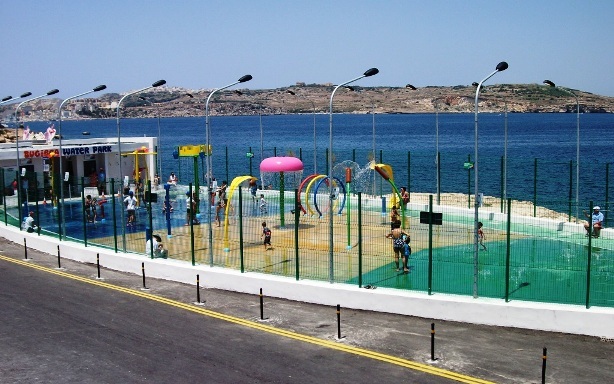 Bugibba Water Park, Dawret il-Gzejjer, Bugibba SPB	FREE TO ENTER & located on the seafront just 100 metres from Bay Square. 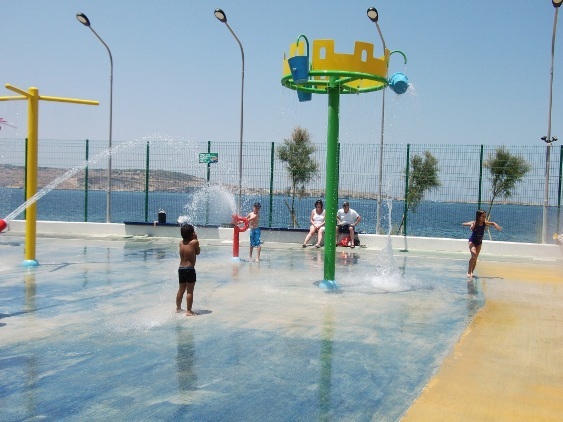 This small splash park is open from end June to beginning October annually and has a varied selection of water features to cater for age groups 1 to 12. Water cannons, tipping buckets & more. Safe & fun for all kids with attendants supervising 20 minute sessions. Tel: ---------------. Empire Cinema Complex, Triq il-Korp tal-Pijunieri, Bugibba SPB 2804 Tel: 21581787. 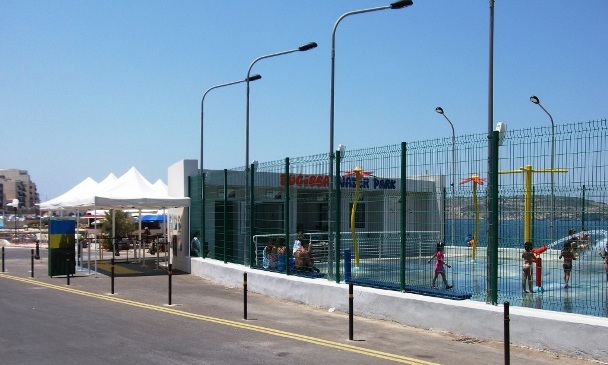 Malta National Aquarium Playground, Triq it-Trunciera, Qawra SPB 1500	This kids playground in Qawra next door to the Aquarium was opened in September 2013 with an underwater theme & has been a big hit in the area. 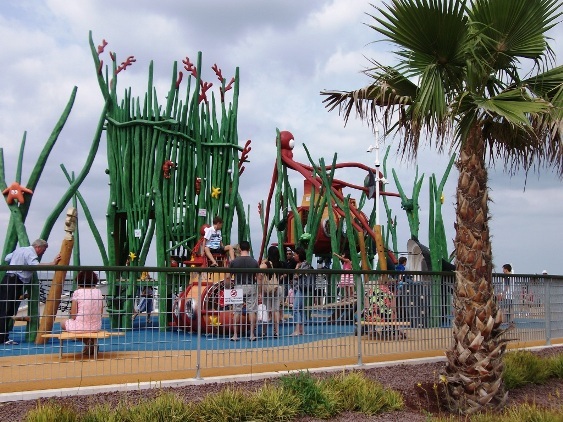 It is free for children to enter and has swings & various climbing areas for different age groups with the whole area sitting on safety matting. Seating for adults is available & refreshments next door from Pjazza San Pawl. .
Park Nazzjonali tas-Salini (Salina National Park), Triq il-Qawra, Qawra SPB . Pirates Cove Mini-Golf Course, Dawret il-Gzejjer, Bugibba SPB Tel: 21524782. Quattro Play Kids Cafe, Triq il-Gifen, Bugibba Tel: 99880786. BOV Adventure Park, Ta' Qali (close to Mosta),	. Eden Superbowl, Triq Sqaq Lourdes, St George's Bay, St Julians ,	Tel: 23710777.....[ten pin bowling]. 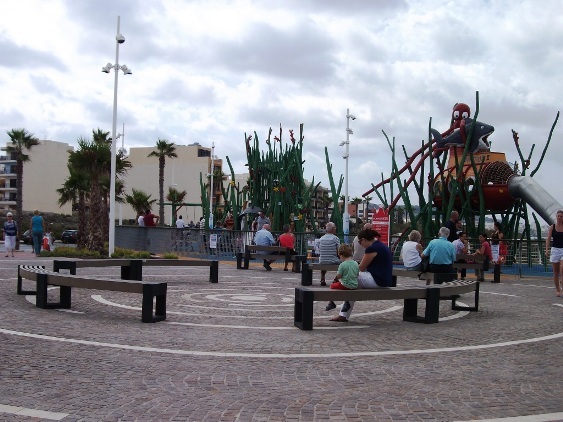 Popeye Village, Anchor Bay, Mellieha,	Tel: 21524782. 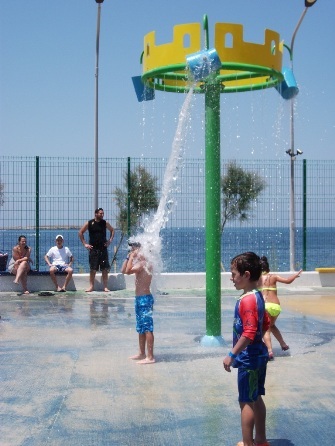 Splash & Fun Water Park, Coast Rd, Bahar Ic- Caghaq ,	Tel: 21374283.